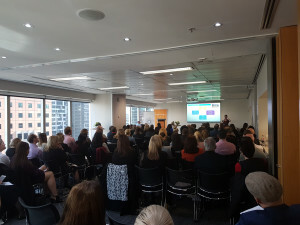 Brought to you by EEON and beyondblue, ‘Creating Mentally Healthy Workplaces’ was an event with presentations by Melissa Williams and Rae Bonney, held on June 20, 2017 in Melbourne. It's highly likely either ourselves or someone we work with will experience some form of mental illness at some point over our working lives. Do you know how to make your workplace mentally healthy? Do you know how to put support systems in place to help individuals & your workforce? Do you and your managers & employees know what to say and do if someone experiences mental illness? Do you know how to look after your own mental health? Many of us, want to ‘do the right thing’ but we just don’t know exactly what that is. These presentations taught us how to better answer those questions so we are looking after ourselves AND our workforce. 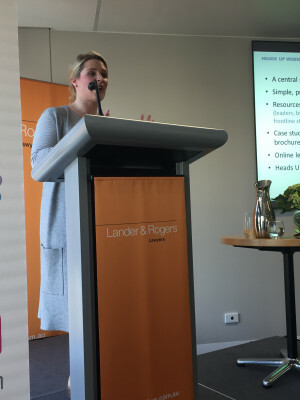 If you missed it or would like more information, you can access these presentations here: Melissa Williams Presentation, Rae Bonney Presentation. Melissa generously shared with us a framework for handling mental health issues in your workplace which we highly recommend as it includes several links to additional resources and information you will find useful. In respect of the key themes which an organisation might include in an action plan depending on the assessed risk, research supports looking at the areas below. · We encourage organisations to make information around mental health readily available to improve mental health literacy. The links and downloadable resources can be used on your internal communications/intranet. 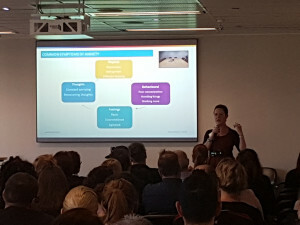 · Often organisations like to share information and learn from other workplaces regarding what they are finding effective- we have a wide range of written and video case studies highlighting how employers are creating mentally healthy workplaces. · Action Planning – The Action Plan tool can be used to link workplaces into the numerous resources and advice based on their identified challenges. In terms of the actual process of implementing your strategy, the following steps are recommended and based on a best practice approach. · Share a personal story and/or video or invite a speaker (beyondblue Speakers Bureau) to raise awareness and highlight the importance of creating a mentally healthy workplace. 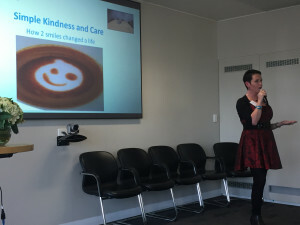 Leaders need to openly and publicly demonstrate active commitment- if leaders (including frontline managers) feel comfortable to share a personal story this can have a large impact on reducing stigma and raising awareness in an organisation. Inviting an external speaker can also be effective. · Again, communicating commitment to creating a mentally healthy workplace to staff- explore the Getting started kit. These steps might help you in the early stages of your planning, including the downloadable resources that you can use to plan internal and external communications about your approach i.e. email to managers and employees template, speaking notes etc. · Employee Participation- Identify a champion/ steering committee to promote an integrated approach. This will also assist in obtaining feedback from staff to help an organisation understand their current environment i.e. what programs/services are currently offered etc. · Review what programs and policies already exist. What are the gaps? Review data such as, retention rates, incident and injury registers, absenteeism, exit interviews, EAP data, engagement survey’s, workers compensation data. This will help workplaces identify trends/areas of opportunity. · The Action Plan tool can be used to link workplaces into numerous Heads Up resources and advice based on the identified challenges. If you register, you can also use it to allocate tasks to individuals as well as keep track of their progress. · Many of the other tools mentioned above also provide strategies to minimise risk.